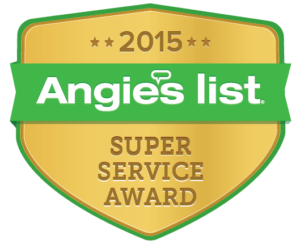 Impact-Ready Inc has earned the service industry’s coveted Angie’s List Super Service Awards, reflecting an exemplary year of service provided to members of the consumer review service in both 2013 and 2015. Service company ratings are updated daily on Angie’s List. Companies are graded on an A through F scale in areas ranging from price to professionalism to punctuality. 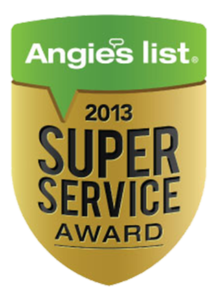 Members can find the Super Service Award logo next to company names in search results on AngiesList.com. Angie’s List helps consumers have happy transactions with local service professionals in more than 720 categories of service, ranging from home improvement to healthcare. More than 4 million paid households use Angie’s List to gain access to local ratings, exclusive discounts, the Angie’s List Magazine and the Angie’s List complaint resolution service. We have had electric shutters on our home for hurricane protection for the past 10 years. While they did provide adequate protection, we found them unreliable and often in need of expensive repairs. Conventional metal shutters are also quite unattractive.The windows, which the shutters protected, were single pane, single hung, builder’s grade (AKA Cheap) windows. They were terribly inefficient and leaked like the proverbial sieve. The solution? We killed two birds with one stone by having Impact Ready replace both the shutters AND the windows with energy efficient, hurricane impact windows. These are double hung windows can be cleaned from INSIDE the house, a big benefit because we live on the second floor; I did a significant amount of research before selecting a window company. It turns out that the window manufacturers themselves are not the biggest challenge but rather the installation process itself There are a good number of quality windows on the market but PRECIOUS FEW COMPANIES THAT CAN COMPETENTLY INSTALL THEM! Enter Impact Ready. I chose them after exhaustive research. Based on my direct observation and references, they are the performance benchmark here in Bonita Springs. 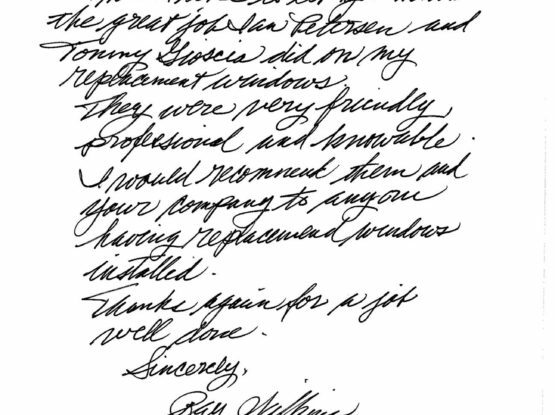 Don’t take my word for it, feel free to ask the experts at the City of Bonita Springs Building Department. I did and they validated my selection. 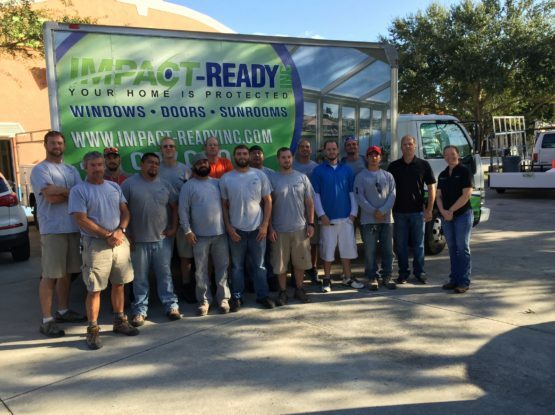 Impact Ready does a superlative job physically isolating each window installation, which if not properly masked, can generate lots of dust and debris onto adjacent areas, keeping them relatively clean. Impact Ready also did an excellent job with internal touch-up, repairing and repainting any areas that were disturbed during the replacement process. One neat thing that they do is to install some attractive cove molding around the inside perimeter of the entire window frame. Many companies don’t pay this kind of attention to detail and leave you with unattractive exposed caulking. Remember the removal of the old metal shutters? All holes, scratches and blemishes to the outside stucco is repaired and repainted. Your would never know that they were there. Pingback: Top Ten Reasons to Choose Impact-Ready, Inc. - Impact Ready, Inc.